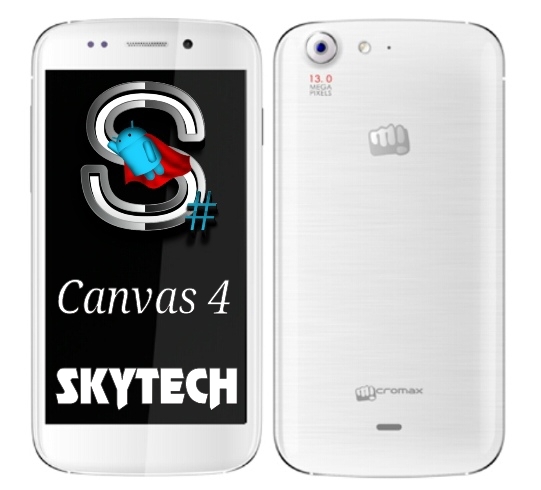 Micromax have launched their latest flagship device the Canvas 4 a few weeks back. The Canvas 4 has a 5 inch True HD IPS screen with Corning Gorilla glass protection on top. An aluminum bezel giving it a premium feel to it and also serves as the antenna as well At the back, there is a 13MP camera along with 5MP front camera. It runs on latest Android 4.2 Jelly Bean OS. There are several apps like Blow to unlock which Micromax bundled with it. There are several clones of the device such as Wiko Heaven Stairway and Blu Life One so this method of rooting will also work for these phones. 3. Extract the MTK6589 Auto Root file anywhere on your PC. Volla! Now your Micromax Canvas 4 a.k.a Wiko Heaven Stairway a.k.a Blu Life One is now rooted. Check the app drawer you will find SuperSU app.